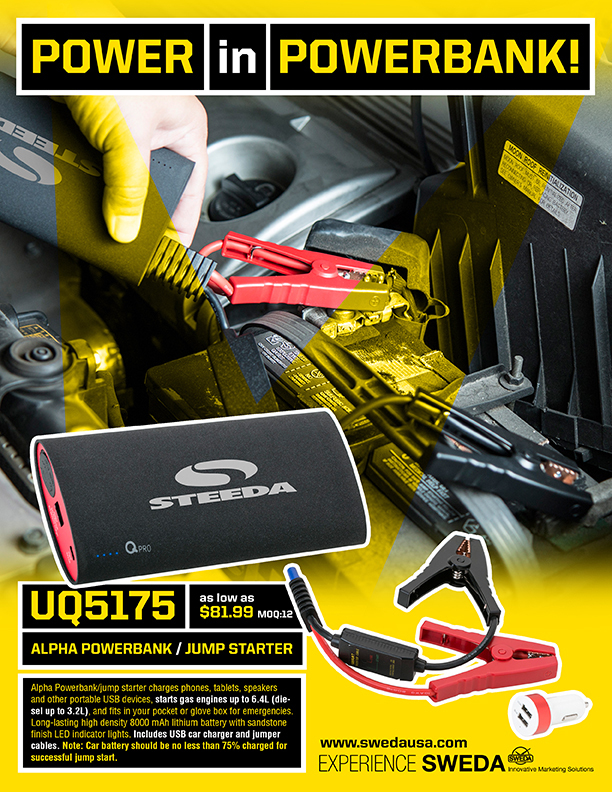 Just when you thought Powerbanks couldn’t get any cooler…the Alpha Powerbank (UQ5175) packs a high density 8000 mAh charge AND comes with cables to help get you going when your car battery needs a jumpstart. Pretty neat, right? Keep in mind this is a promotional item, you you can imprint with your logo, your brand. These are great incentive items for insurance offices, car dealers, car manufacturers, parking garages, and tow companies. They might even be a practical carry for law enforcement. Please contact us at info@proformagreen.com if you would like more information on – or samples of – the UQ5175: Alpha Powerbank/Jump Starter.